The Constitution prohibits cruel and unusual punishment. This applies to those who have been convicted of a crime and those who are accused of a crime. PFC Manning, who faces criminal charges for leaking government documents to WikiLeaks, has had this Constitutional right violated. Last night, PFC Manning was ordered to strip naked in front of corrections officers in a Quantico holding facility. Manning’s clothing, including his boxer shorts, were confiscated. The order came directly from the Duty Brig Supervisor (DBS) at the Quantico detention center where Manning is being held. Manning is currently being held under the Prevention of Injury (“POI”) protocol. This means that he is isolated and under constant surveillance. He allegedly joked that if he wanted to harm himself he could do so with a pair of flip-flops and underwear. Shortly thereafter, the DBS ordered Manning to strip naked and confiscated all clothing. He was forced to sleep naked in his cell for the next 7 hours. At 5:00 the next morning, the routine wake-up call sounded. Manning was still unclothed. The DBS arrived and walked through the holding facility to count the detainees. Manning was instructed to sit on the bed in his cell. Ten minutes later a guard arrived with his clothing. He was then permitted to get dressed. However, the clothing was returned with the promise that they would be taken again that evening. Forcing an inmate to strip naked in front of detention facility guards and to remain naked for an entire night’s sleep is unconscionable. This is not behavior that should be considered normal nor permissible. There is no justification for acting in this way. Forcing an inmate to strip naked is essentially just a way to embarrass him. 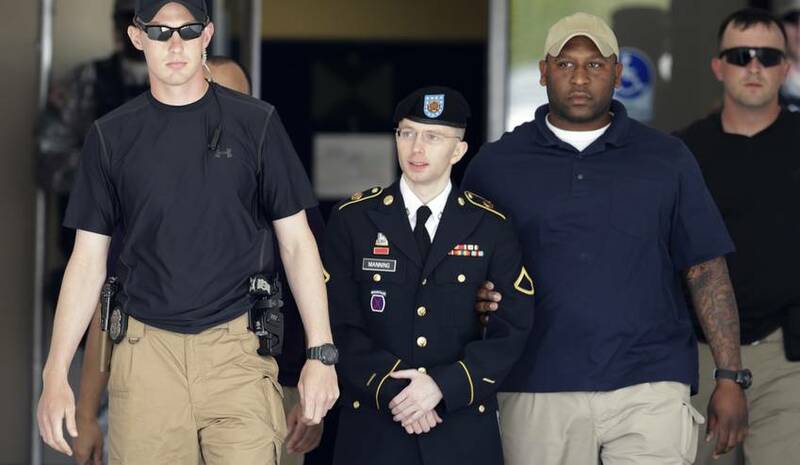 The DBS claims that the measure was taken for Manning’s protection, and not as a way to punish him for the crimes that he has been accused of committing. However, Manning is the only detainee who has been subjected to this type of isolation and humiliation. The Navy Corrections Manual dictates procedure for the Quantico facility where Manning is held. The Manual states that it is permissible for clothing to be removed from prisoners who have threatened to commit suicide or who have made a suicidal gesture. It is important to note that Manning was not placed on suicide watch. However, Manning was forced to endure this suicide-watch related treatment. This is merely the latest in a series of events that have been designed to degrade and humiliate a detainee who has not been convicted of a crime. If Manning were truly considered to be a threat to himself, the detention facility should have taken more substantial steps to ensure his safety. Forcing him to strip and sleep naked is a violation of his rights and a window into the terrible conditions under which he is being detained.